10 small differences that make a huge impact to making everyone feel included. Workplace inclusion is an ongoing priority for Amplitude. We know that talking about diversity and hiring diverse talent aren’t the only things that sustain diversity of thought. Being mindful of people who don’t fit into your workplace’s mainstream culture and finding different channels of representation, even on the micro-level, is important for creating an inclusive culture and retaining diversity. We’ve made a lot of small, but significant changes at Amplitude to strive for better representation in the workplace. Here are 10 microinclusions (our special word for daily acts of inclusion) that we’ve put into place at Amplitude so far. We hope our list can help spark ideas for microinclusions that you can introduce at your company. An open secret about T-shirts: “unisex” doesn’t exist; they’re just men’s sizes. Many women avoid wearing startup T-shirts because they’re ill-fitted to their body types and, frankly, feel exclusionary. We’re offering women’s sizes for most of our T-shirt designs to be more gender inclusive. In fact, when we handed out our new shirts at our last Growth Clinic, the women’s sizes ran out before the men’s! 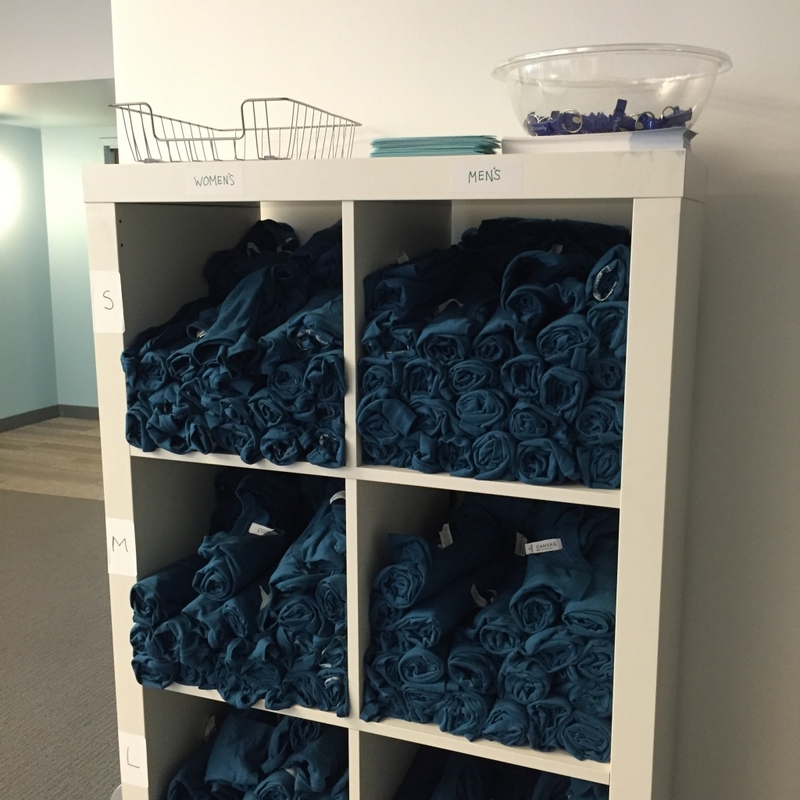 The Datamonster T-shirt Shelves, now separated by women’s and men’s sizes. Our internal and external presentations include more female stylized icons, not just the default “male” ones. Example from an internal company presentation by our Head of Design. We recently changed our monthly company-wide events to take place during the day, from 3:00-5:00 PM. Amplitude’s monthly company-wide social events used to be after work hours around 6:00 PM. This was a problem for our coworkers with families and young children, as well as those who commuted into the city using public transportation. One coworker, who recently became a new father, explained to me that when his wife stays at home all day with their baby, it’s impossible for him to justify casually hanging out with coworkers after work. The later hours also presented a problem for people commuting into San Francisco (where the Amplitude office is located) via public transportation; at later hours, the buses and trains run on a limited schedule, which made it harder for non-SF residents to get home at a reasonable hour. Shifting the team events to take place earlier in the day has made it much easier for everyone to participate! Try as we might, it’s pretty much impossible for a single event to appeal to the interests of everyone in the company. Instead, we try to organize a variety of _different _company activities and social events, so that for each person, there’s at least some subset of the activities that’s fun for them. The whole company also gets input into the types of social events that we want to do. We’ve done everything from your standard happy hour, to karaoke, to laser tag, scavenger hunts, mini golf, and board game nights. Pictures from our August team event: mini golf! All the conference rooms at Amplitude are named after popular AIs from movies and books (e.g. JARVIS, HAL-9000, WALL-E) , TV shows (e.g. Rosie), and real life (e.g. Cortana, Siri), spanning different generations, genres, and genders. In fact, most of our conference rooms are actually named after “female” AIs! The bookworms of Amplitude have self-organized a monthly book club where we read and discuss books picked by fellow coworkers. 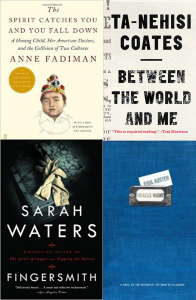 In addition to providing a different way for us to get to know each other, the book club has presented a fantastic opportunity to read about topics we’re unfamiliar with or may be out of our comfort zone. Our last 4 picks for Amplitude book club. 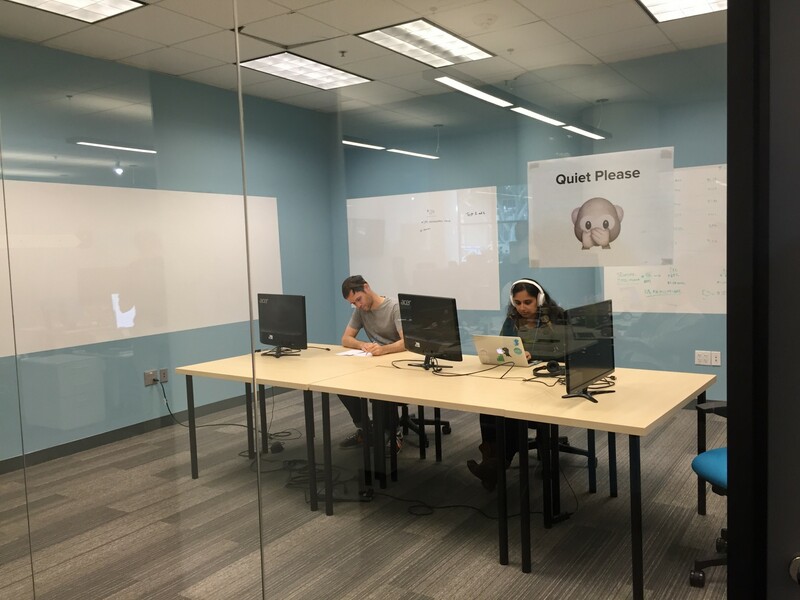 It’s no secret that many introverts find the typical open office floorplan to be “soul-destroying.” As a retreat from the distraction and noise that comes from working in an open office, we have a designated Quiet Room where individuals can go to work quietly and undisturbed whenever they want. We make sure to balance the healthy and the indulgent when it comes to our meals and snacks. Food feedback is encouraged so everyone gets the kind of food that works with their diet and makes them feel their best. And even more importantly, we make sure to have options for people with various dietary restrictions: vegetarian, gluten-free, lactose intolerant, low carb, to name a few. 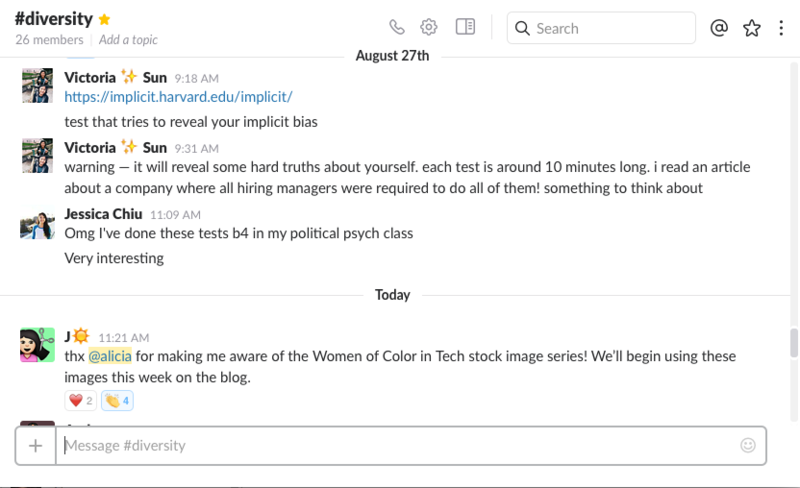 We’re moving away from using stock images that feature the generic “white male” tech worker, and looking for images with more women or persons of color. 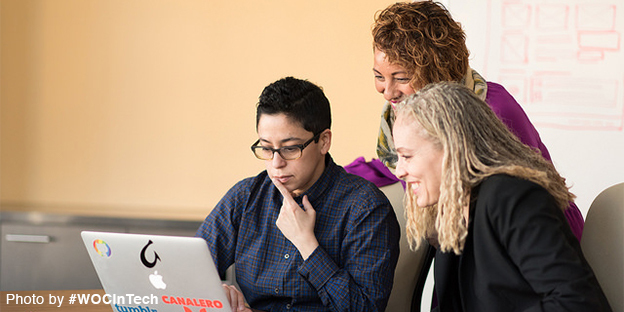 Here are some great stock images featuring women of color by WOCinTech Chat on flickr. D&I can often seem like a big, daunting problem, but these are small, manageable things that any company can start doing right now, that still have an impact on overall culture. Nisha leads the Sales Engineering and Diversity teams at Amplitude. She graduated from the University of Michigan and has since learned to embrace warm weather, wine and hills.